A conservation organization has come up with a creative way that helps endangered birds. Have you ever looked to the sky and daydreamed about what it would be like to be a passenger riding on the back of an eagle? Now, thanks to a French environmental conservation organization called Freedom, you no longer need to _(1)_. World-renowned falconer▼ Jacques-Olivier Travers and conservationist Ronald Menzel founded Freedom in 2006. At the organization’s breeding facilities near the picturesque Lake Leman on the French-Swiss border, Travers teaches birds of prey that were born in _(2)_ to hunt and fly. His technique for teaching his pupils▼ is _(3)_ unconventional. He takes the birds _(4)_ skiing, kayaking▼, and paragliding▼ trips in the French Alps. The conservationists also have some unconventional methods of raising awareness of the plight▼ of endangered birds of prey. They take their trained eagles to iconic locations such as the Eiffel Tower, strap a camera to the bird’s back, and broadcast the spectacular bird’s-eye-view videos on giant screens for the public to watch _(5)_.
Freedom’s latest event _(6)_ from the top of the world’s tallest building, Dubai’s 829.8-meter Burj Khalifa. The star of the event was a male imperial eagle▼ named Darshan. The strong and powerful bird with a two-meter wingspan▼ _(7)_ the world record for the highest recorded bird flight from a man-made structure. Visit www.freedom-conservation.org to learn more about Freedom and watch some remarkable videos. Now, thanks to a French environmental conservation organization called Freedom, you no longer need to wonder. 衍: proceed to V　（做完某事）接著從事?? After doing the laundry, Shirley proceeded to do the cooking. I wonder what Tommy said to make his mother so angry. Don’t interfere in their argument. The kids can work it out for themselves. As the play unfolded, viewers gradually realized what they originally thought was wrong. At the organization’s breeding facilities near the picturesque Lake Leman on the French-Swiss border, Travers teaches birds of prey that were born in captivity to hunt and fly. You can have some wine as long as you drink in moderation. The girl felt pity for the animals held in captivity at the zoo. Our farm’s milk is sold in grades. Children went out in knots to see the lantern show on the Lantern Festival. His technique for teaching his pupils is somewhat unconventional. Little did I expect that the short old man is a renowned scholar. It’s already eight o’clock, and Ted still hasn’t shown up yet. Rita could scarcely see anything in the dark room. Patrick was somewhat disappointed by the movie version of that famous novel. He takes the birds on skiing, kayaking, and paragliding trips in the French Alps. I’ll keep my word and take you on a trip to Hawaii. They take their trained eagles to iconic locations such as the Eiffel Tower, strap a camera to the bird’s back, and broadcast the spectacular bird’s-eye-view videos on giant screens for the public to watch live. The basketball game was broadcast live. The talk show is a live program, not a pre-recorded one. Freedom’s latest event took place from the top of the world’s tallest building, Dubai’s 829.8-meter Burj Khalifa. This morning’s meeting was presided over by the new manager. Honesty is the best policy. Don’t try to cover up a lie with more lies. Reading newspapers helps you keep pace with the times. Since I overslept, I missed the speech contest that took place this morning. The strong and powerful bird with a two-meter wingspan set the world record for the highest recorded bird flight from a man-made structure. The entire village was ruined by the earthquake. In my opinion, it’s necessary to release negative emotions when you feel down. Not only did Allen win the race, but he set a new track record. Our class wouldn’t quit talking, so our teacher gave us extra homework. Conservation is one way to make sure we have enough energy in the future. Many animals that were once numerous are now endangered. Stop daydreaming about marrying a rich man and focus on self-reliance. 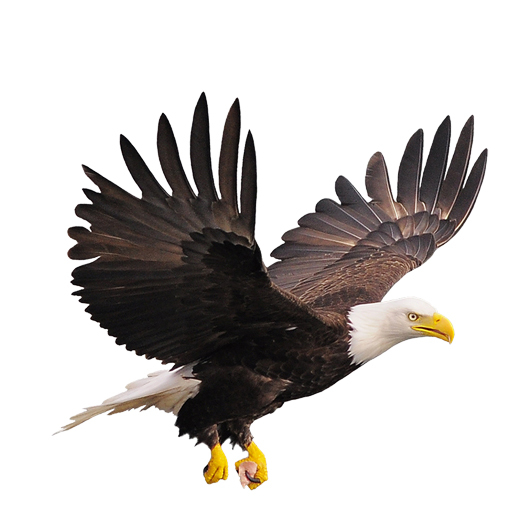 The eagle glided through the air with great ease. A hawk hovered over the prairie searching for prey. The scientist’s experiment dealt with the breeding of insects. The hot spring was located outdoors, so I was able to enjoy the fresh air and picturesque views. The coach used an unconventional strategy to try to win the game. It is conventional for Japanese people to bow when greeting each other. Each generation has its iconic movie stars. Nancy strapped her son into a special car seat. The TV station will broadcast a new cooking show on Sunday. Flying in an airplane gives humans a bird’s-eye view of their surroundings. The company encourages its employees to come up with innovative ideas. We attended a protest to raise awareness of animal abuse.